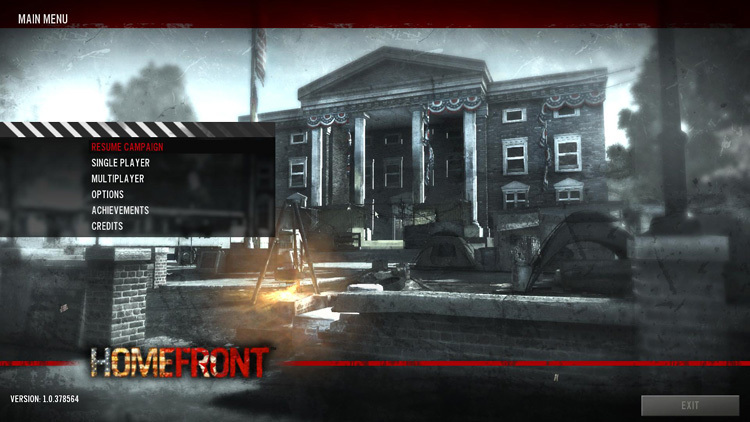 I first heard of the game Homefront at last year’s E3 event in Los Angeles. THQ / KAOS Studios had signs everywhere about the North Korean invasion of the United States, which I felt at the time (and still do) an unlikely event. They continued to peak my interest when they had 100 men and women dress in North Korean uniforms marching through the halls of E3 as a promotional stunt. 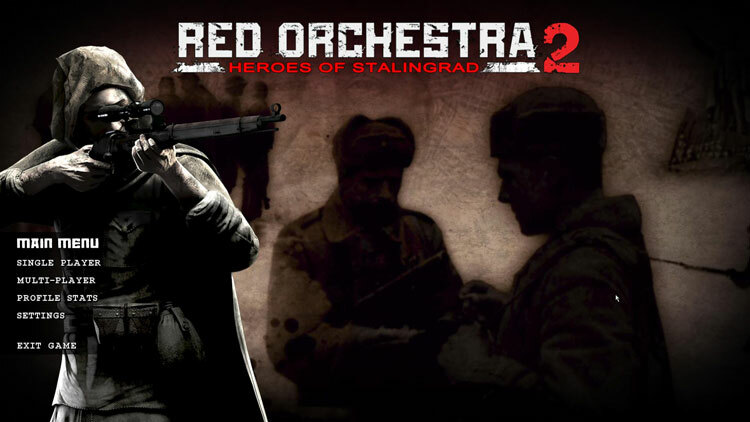 So I investigated and quickly learned that it is an action type first person shooter in the same realm as the great Battlefield series. 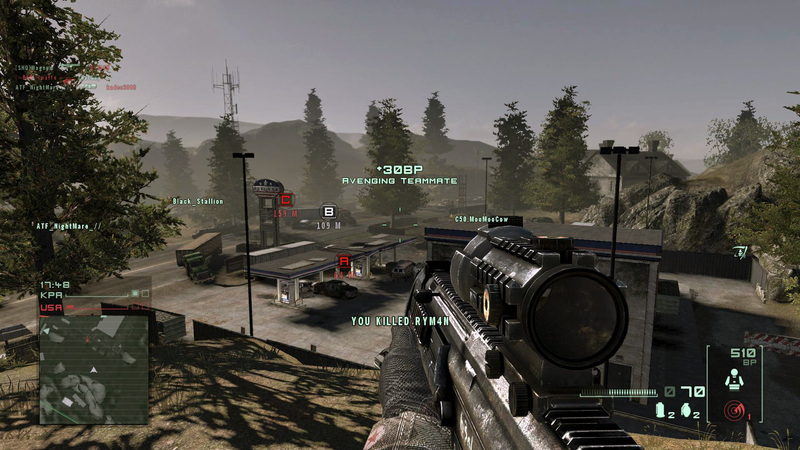 I described it in a tweet as “ifBattlefield Bad Company 2 had a baby with Call of Duty: Black Ops, but then questions arise about an affair with Frontline: Fuel of War, you’d get Homefront.” Yes, Homefront in general is another action shooter like the Battlefield series and/or Call of Duty series, with their own mark and ideas thrown in for good measure. The single player campaign/story of Homefront was penned by screen writer John Milius, who also screen wrote Red Dawn andApocalypse Now. 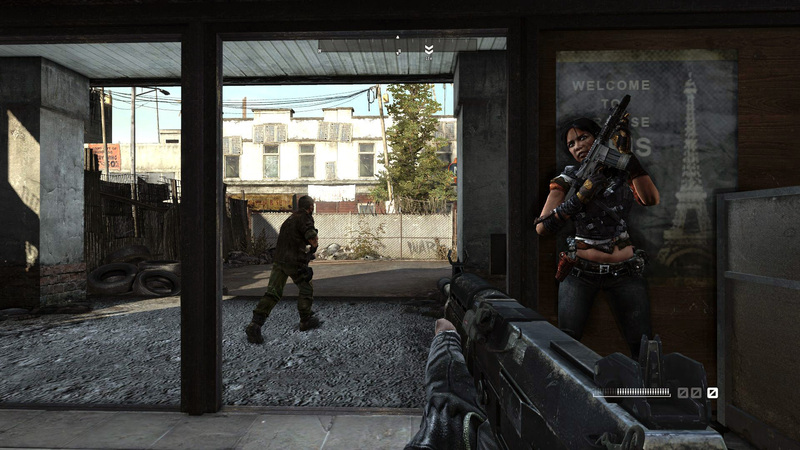 Homefront’s plot revolves around a team of American resistance fighters battling against the North Korean invaders. It’s a good story, with a nice introduction explanation of how it all happened. The writer makes it somewhat believable, but I think my American pride (or as the rest of the world sees it, my American ignorance) keeps me from believing this could ever happen. I was a little disturbed by one part of the opening story involving a 4 or 5 year old child. It was a little over the top, but did set the story and the mood. Overall the story is good, but short. It’s the typical story-on-rails and you play an ex-Marine pilot, so I guess that’s how they figure you know how to drive a tank and fly jets. The only fault I have with the story is that it’s only 4 to 5 hours long and has no replay value. Maybe that’s what the norm is now-a-days. Doesn’t mean I have to like it. 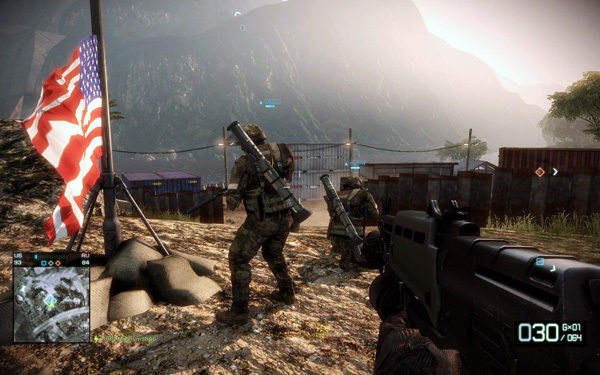 Multiplayer tries to combine a lot of great features from similar games like the Battlefield series, Call of Duty series, and the Frontlinegame released a couple of years ago. I give kudos to THQ/KAOS for the attempt but not everything worked out as planned. 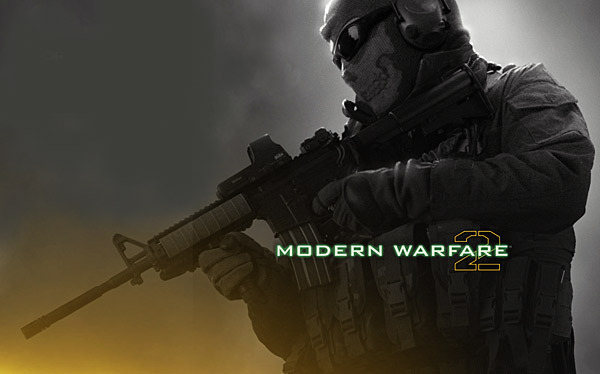 The maps, weapons, and vehicles are all nice and the game play is fun for sure but a few things just kill the multiplayer for me. The main problem I see is the spawn locations which seem to be completely random. More times than not I end up spawning into the game only to be killed within 3 to 5 seconds by an enemy close by or one of the many snipers/campers that the maps seem to encourage for maximum kills. I like the idea of points based on performance to buy upgrades, equipment and vehicles but the way it panned out is really only the best players get the great stuff and everyone else is just there to be killed. Now sure, all you good players are saying “well, play better”, but it’s not always that easy. And then when you do buy a vehicle, you spawn with it and if you get out or move to another location, like from driver to gunner, any team mate can jump in and steal your vehicle and drive it right into your death. 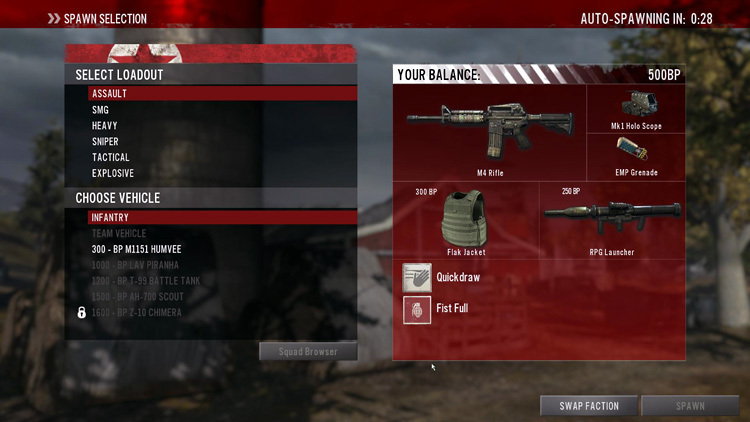 How multiplayer usually plays out is that if you get the rank and kills, you get the good gear. 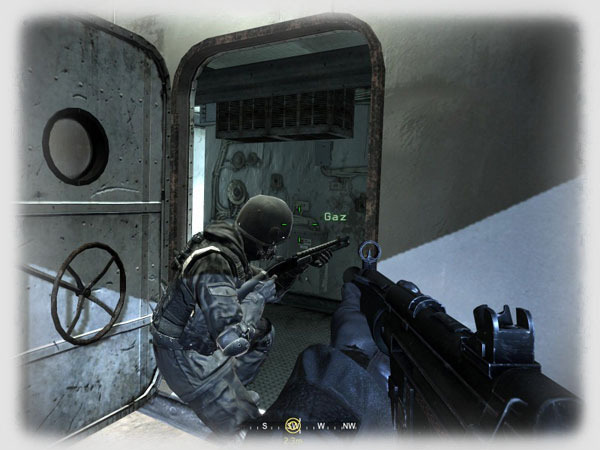 So I could throw a grenade at the enemy’s feet and since he’s got some special body armor no harm comes to him. Also everyone and their brother gets a hold of a helicopter or missile system, so crossing a danger area is well… dangerous. And as usual most players seem to be in for the number of kills. InHomefront the maps and game play encourage everyone to camp and snipe. You’ll see many friends and foes on the outskirts of the maps shooting at the fish in the barrel. 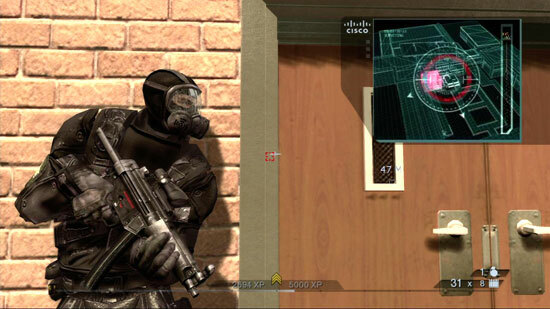 You’ll see many run right past a control point, because they don’t want to capture the objective, they want kills. Now this is a problem in all of the recent action shooters of course, but in Homefront it is really to the extreme and quite comical to see. There are only 4 multiplayer modes in game, (anyone want to bet they release another mode or two via pay-to-play DLC?). Really, that’s a lie; only 2 game modes really exist. Ground Control, where your team fights to control 3 points on the map and Team Death Match. Where I get the four from is that you can play those two modes with a “Battle Commander”. But again, you have to be a good, high ranking player to be a Battle Commander. All that really is, is like a squad leader giving other players orders. The PC version comes with the ability to do practice maps, but I didn’t see how to put AI in, and also the ability to watch recorded games, but then again no games I played ever got listed there. 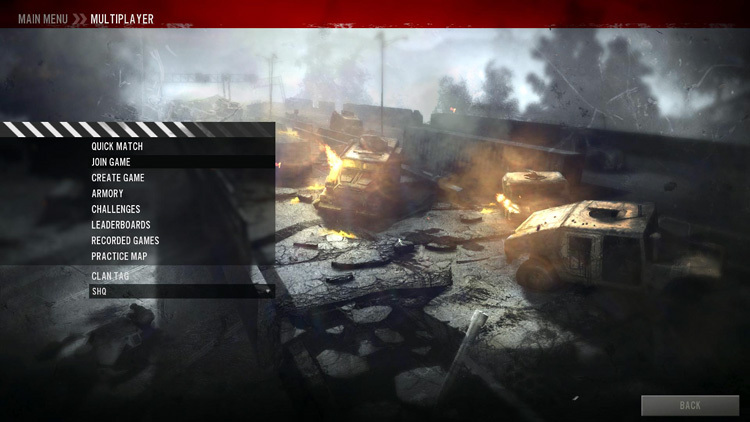 The PC version also has a quick join option, and a server list, and the ability to host your own game. There is no server browser on the console versions and so it’s hard to find a game once in a while. On the console you can host a private match or quick join an online game, but there is no way to see any games or servers. 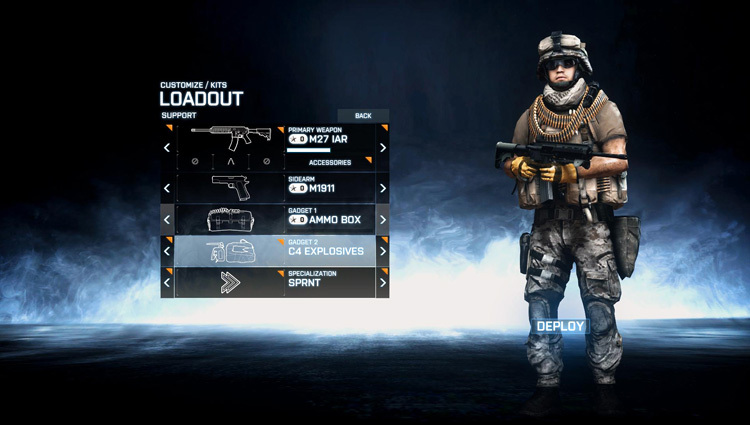 The PC version also allows for squads to form and have built in comms. (And some of you complain that all the new games are just console remakes… Another KUDO to THQ and KAOS Studios for remembering the PC gamers.) The console version, Xbox 360 in my case, doesn’t have the squad option but you can start a “party” and join in a game together. 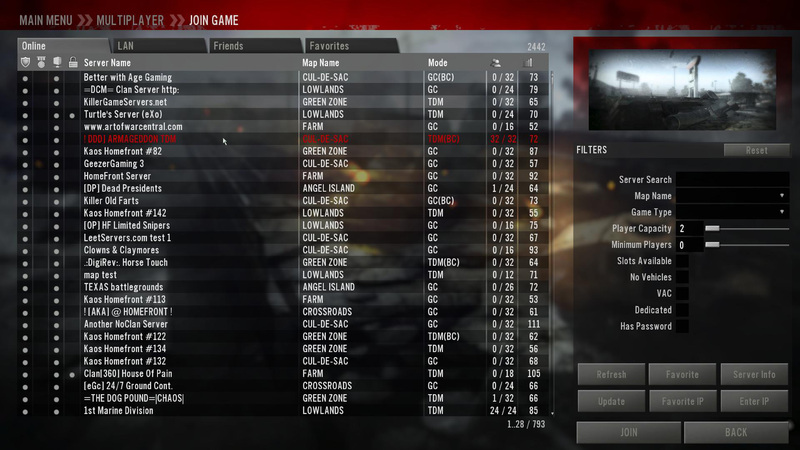 And like all Xbox 360 titles, built in comms are available. The multiplayer is an action game, more fast and furious than I would prefer. But it’s what the majority wants. At least you’re able to crouch, and go prone if needed. A final note on multiplayer: THQ followed in EA’s footsteps and you are required to enter an online battle code or buy a unlock for additional funds. 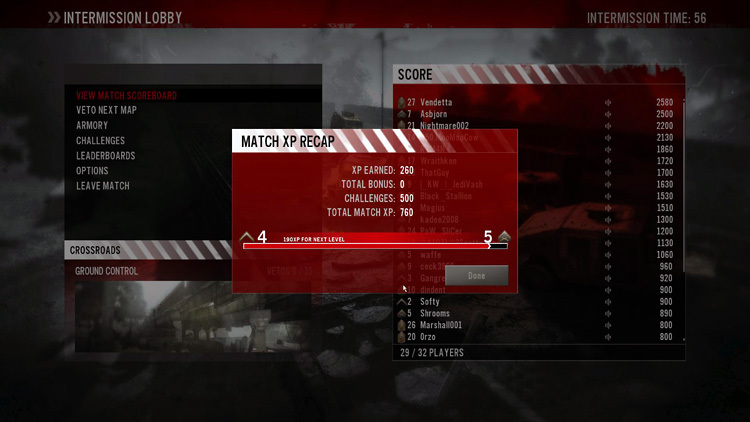 Not a big fan of this personally, but they do let you play MP up to level 5 without entering the code. And that’s all I needed to make my final judgment on this game, and move on.